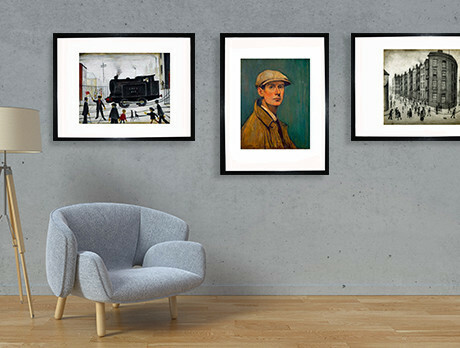 Through brooding portraits, industrial landscapes and distinctive 'matchstick' figures, Laurence Lowry's paintings have been widely acclaimed by artists nationwide. Born in 1887 Lancashire, Lowry drew inspiration from the sprawling scenes of Pendlebury and surrounding North Western localities. Our collection captures his best to imbue your interior with a British legacy.